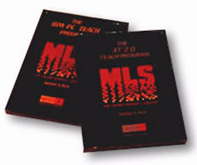 Over the years, we have designed and developed hundreds of instructional and informational programs and materials. To provide you with a sampling of projects that either Sage Interactive or its founders have designed and/or developed, we have organized these projects into the four categories represented by the buttons below. Click on a button below to select a delivery medium, then scroll down to view the custom products that we have designed and/or developed. 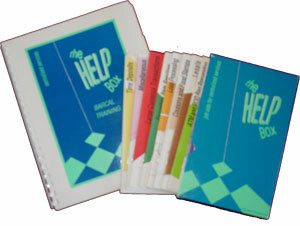 This Help program was developed for a multimedia biology course used by high school teachers. The system uses a pull-down Help menu with selections listed both alphabetically and by media type. Because the program introduces teachers to new technologies and teaching approaches, this Help program supports a particularly wide array of support concepts and techniques. 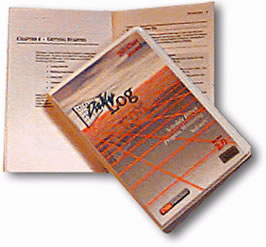 This CD-ROM based guided tour was designed to teach novice systems administrators to understand the basics of switching in LAN, WAN, Internet, and intranet environments. A separate module uses scenario-based sample situations to underscore the relevance of the concepts being taught. The program incorporates voice-over narration, numerous animations with sound effects, QuickTime Virtual Reality, and Adobe Acrobat files. We translated the CD-ROM into Japanese (Kanji) and Chinese (Mandarin) in addition to English, and it was distributed at no charge to tens of thousands of Bay Networks prospects and customers worldwide. 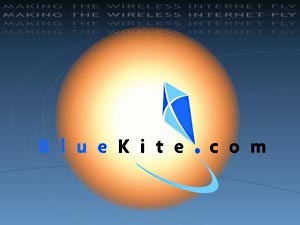 This Flash-based marketing tutorial teaches the basics of wireless Internet access while introducing the learner to the particular strengths offered by BlueKite.com's technology. The "Getting to Know CSAA Products and Services" CD-ROM is a branched tutorial and knowledge support program that was designed for all employees to complete in the company's learning centers. It employs narration, animations, numerous practice exercises, and a computer tracked and scored pretest and post test. This course series covers the complexities of fraud, money laundering, OFAC, and compliance requirements for representatives and supervisors. Using a scenario-based training motif, this 6-hour course series includes numerous decision points and a game-based pre/post test. This Flash-based animated course introduces Schwab employees to the size and needs of the retirement market while covering the benefits of saving for retirement years. This tutorial with associated linear guided tours trains investment managers to use SchwabLink, an online investment tool. The CBT program employs interactive simulations of the product in a highly graphical user interface. 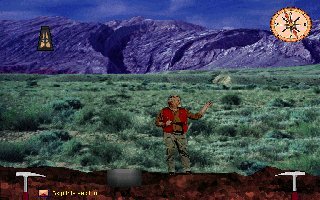 Performed analysis, instructional design and interface design for a CD-ROM based course that teaches geologists to read plotter output from dip meters dropped into bore holes to identify structural formations underground. 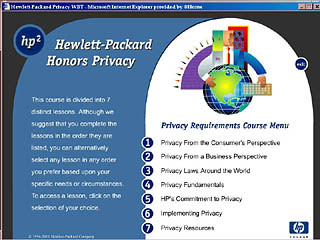 This course teaches the corporation’s employees about the importance and process of ensuring that customer privacy rights are honored. The comprehensive course employs animated graphics and interactive exercises to reinforce the learning objectives. This course covers employee privacy issues and processes, including laws, regulations, and recommendations utilizing statements, case studies, and sample situations. Learners are required to complete a pre-test before entering the course and must successfully complete the post test to gain credit and receive a completion certificate. This guided tour ships with Macromedia's Action for Windows presentation software product. The tour is designed to take new users through a conceptual and procedural overview of the product's features and functions. The tour employs numerous graphics, sounds, and animations to emphasize the product's capabilities. This guided tour introduces the Pacific Bell Directory sales team to the benefits and processes of using the ADS/Selling customer database. Using a “highway to success” theme, the dashboard of the simulated car houses all the “controls” needed to run the tour; including items such as a working radio, horn, and turn signals in addition to stop, go, forward, and reverse directions for running the tour. Throughout the guided tour, a voice-over narration walks the learner through the database while an animated cursor highlights key points and transitions through the application screens and steps. 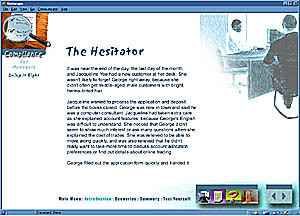 The Teach Program series of disk-based CBT tutorials was the first commercially marketed CBT programs for the newly released IBM personal computer. Published by Prentice-Hall, the products included in-depth written tutorials in workbooks and step-by-step hands-on practice through the accompanying diskettes. 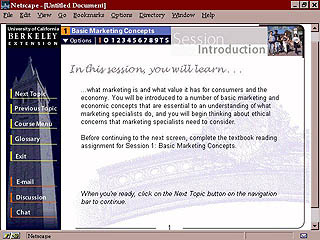 A proprietary authoring system was used to create the disk-based tutorials. Sage Interactive designed and produced a 30-hour web-based course entitled “Essentials of Marketing” for U.C. Berkeley Extension. The unique online course incorporates pull-down menus, interactive exercises, web-savvy graphics, animations, narration, and sound effects; plus links to relevant web sites, threaded discussions, chat, email, notepad, and much more. The Fraud Chargebacks Course is an 8-hour online course that Visa member banks access through Visa’s intranet. The goal of the course is to help decrease the banks’ fraud losses due to inadequate use of the Visa dispute management process. The course is highly interactive and includes many case studies, practice exercises, and a mastery test in the form of a board game. There are also several animated process flow diagrams with voice-over narration describing complicated, multi-step processes. Other course features include a site map, online help, a listing of other resources, a progress indicator, pop-up definitions of glossary terms, and a Quick Guide to refer to as an on-the-job reference tool after training is completed. Visa Center for Learning is an online knowledge support system providing information about Visa products and services to all Visa employees. It has a highly graphical user interface with search capabilities allowing users several methods to quickly and easily find the information they require. 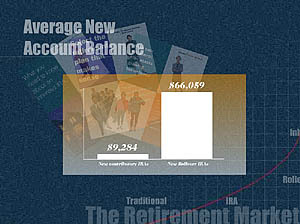 Animated flow diagrams are provided to illustrate transaction processing. The program was designed to run in a worldwide client-server environment. This workshop series covers six modules. Titles developed and presented include: Multimedia is a Team Effort, Instructional Design, Instructional Development, Project Management, Interface and Graphic Design, and Digital Video/Audio Production. This series of workshops teaches participants about multimedia and web-based instructional technologies. The Champion Customer Service Workshop is a highly interactive 2-day workshop that has been implemented in several departments within Pacific Bell Directory. Participants are challenged with exercises, role plays, and entertaining "goodies" that reinforce the importance of providing excellent customer service. They are also given specific steps that can make a difference in customer satisfaction and ultimately the company's bottom line. 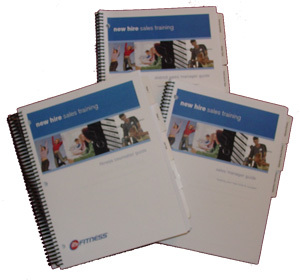 A fully scripted leader's guide is provided allowing staff trainers to deliver the training. A separate job aid booklet is provided for participants to use on-the-job. “Adventures in the Vineyards” is a unique audiocassette tutorial that follows a novelette approach to teaching users to master a software-based project management product. 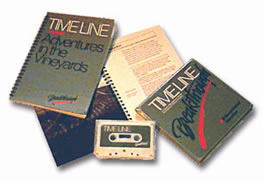 Set in the vineyards of Northern California, the tutorial storyline follows the increasingly difficult scheduling needs of a winemaker while the learner uses the computer-based application to develop and manage a baseline schedule. This user manual covers both conceptual and procedural information for a Windows-based construction management software product. 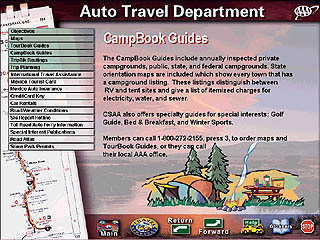 The manual covers an up and running section, a reference section, troubleshooting documentation and a tutorial. Visual sidebar hints, notes and cautions provide additional useful commentary and support. This paper-based course incorporates comprehensive descriptions of scenario-based sample situations that teach superiors how to identify logical examples of legal measures ranging from non-judicial punishments to Article 15s and court martials. These manuals were developed for the U.S. Army Field Artillery School to support crew maintenance of the M102 and M109 Howitzers. The manuals contain many laminated job aids which are conveniently attached to the howitzers and use graphics to step the crew through the maintenance procedures. Side bar notes and cautions further support safe and accurate maintenance of the cannons. 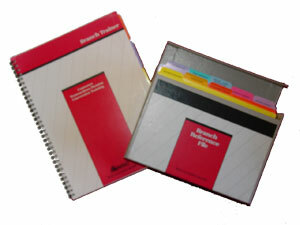 The Branch Reference File is an innovative approach to documentation and training of banking procedures. 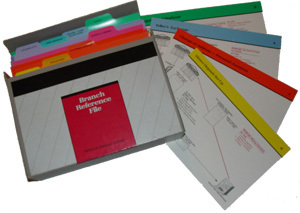 The Branch Reference File contains a series of colorful, visual process flow diagram cards which were used for retail branch operations training for the Wells Fargo - Crocker Bank merger. 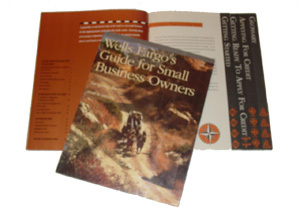 The Branch Reference File was also used as the reference tool for branch operations procedures in Wells Fargo branches. The Digital Village is an award-winning and unique newmedia development environment where the functions of work and learning are integrated in a single setting. Initiated by Sage Interactive, the planning partnership was composed of the President of the College of Marin, the President of the Autodesk Foundation, the President of the North Bay Multimedia Association, and a Partner from Sage Interactive. 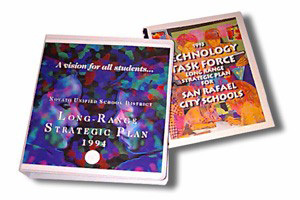 Using notes provided by the District school board, we developed a highly readable 5-year District long-range strategic plan that focuses on inculcating technology, embracing community, and developing governance structures and responsibilities.